This hairstyle dates back to 1721, and has managed to make a comeback in modern days. Pompadours became all the rage thanks to Madame de Pompadour, a mistress of King Louis XV. She wore the hairstyle, inspiring a fad that became popular for a time- then not- then revived in the 1890s-1910s- then disappearing for a couple decades- and once again revived for high-society women in the 1940s. By the 1950s, men were wearing a version of the look that is all about elevation of the hair near the front of the head. 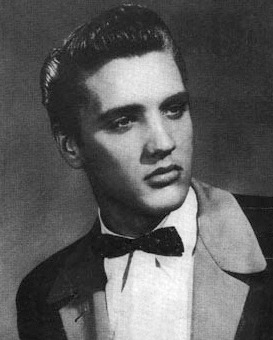 After Elvis- who by the way had blond hair naturally- wore the pompadour, its popularity exploded. Pink, the singer, has made it her trademark, followed by other celebs who have sported it at one time or another: Justin Bieber, Little Richard, David Beckham and Robin Thicke being among them. Before referring to an adolescent-looking hairstyle, the term pigtail was used back in the 1600s to describe a twist of chewing tobacco. To prepare the tobacco, several leaves were twisted together into a tight bunch that was then cured. Many people referred to this bunch as a pigtail because it resembled the curly tail of a pig. By the late 1600s, the pigtail reference for hair was born as a way to describe the one (outside of America) or two sections of hair gathered and fastened on the head. Pigtails aren’t just for young girls or Britney Spears’ debut video. Modern styles can be seen on celebrities such as Heidi Klum and Madonna. In Massachusetts, a 15-year-old girl was bullied by a classmate for wearing pigtails to school but fought back by creating a Facebook page titled ‘Pigtails 4 Peace’. The victim pledged to wear pigtails for the entire week and asked classmates to join her in her support for anyone who has ever been teased. It worked. Hundreds of girls showed up the following day sporting the popular hairstyle. Score.